To supplement our guide to buying Bitcoin (BTC) online, it’s important to look at how you can make payments in a currency that suits you. In this overview, we’ve got an explanation of how to buy Bitcoin using Euro and, importantly, where the best Eur to BTC exchanges are. Despite Bitcoin and the leading altcoins such as Ethereum (ETH) not being confined by geographical borders, exchanges are. Due to local laws and regulations, exchanges can only accept certain currencies and use certain payment processors. For example, the laws governing UK crypto exchanges are different from those US-facing exchanges have to abide by. Therefore, it’s not always possible to buy BTC using EUR. Put simply, you need to do your homework before investing. Why Buy Bitcoin & Cryptocurrency with Euro? Ease and Efficiency: If, for example, you used BitBay Exchange to wire transfer Euro to your account and buy Bitcoin, the process would feel fairly intuitive. In other words, the transaction would feel like any other online payment. In contrast, making a crypto-to-crypto purchase via the Binance Exchange can be confusing if you’re a novice. Because of this EUR to BTC exchanges are the best option for newbies. Low Deposit Limits: It’s often the case that Euro Bitcoin payments are lower than other methods. 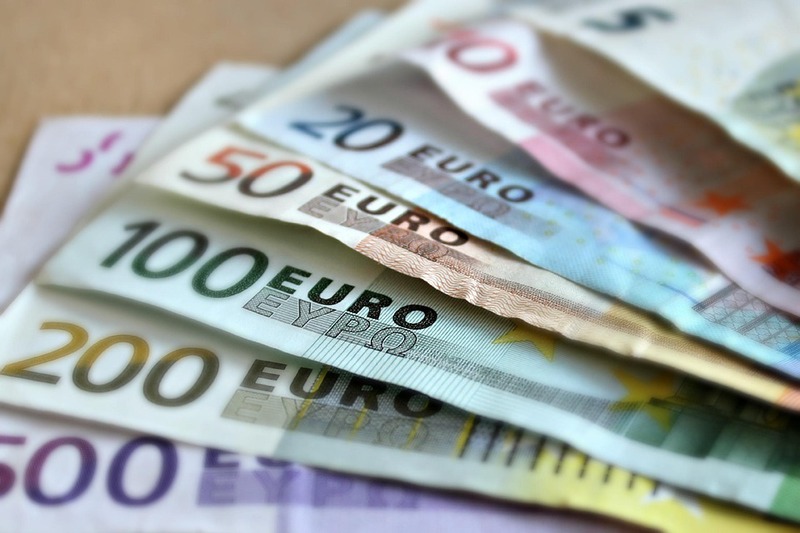 At CEX Trading, the minimum deposit is €20. At this level, more people have the chance to invest in cryptos. Are EUR to BTC Transactions Safe? Stay safe with EUR to BTC payments. EUR to BTC transactions are safe on account of the payment methods you can use. Credit card transactions provide a level of security and insurance courtesy of Visa or MasterCard. Similarly, bank transfers are protected by your bank and, in certain countries, financial regulations. Finally, PayPal and other eWallets act as a barrier between your bank account and the online trading world, something which provides another layer of protection. Germany: One of the first EU countries to embrace Bitcoin, Germany classifies all cryptos as “private money”. This is different from foreign currency or e-money. By classifying it as a “unit of account”, Bitcoin purchases are subject to standard VAT charges, while all EUR/BTC trading profits may incur tax charges. Italy: In 2018, Italy’s central bank leader, Mario Draghi, told the media that cryptos do pose certain risks but shouldn’t be banned. The same year, the Ministry of Economics proposed a set of laws that would classify and regulate Bitcoin usage. However, at this stage, cryptos aren’t recognised. This makes it possible to trade BTC using EUR. France: New rules regulating exchanges, professionals and taxation were brought in by France in 2014. Initially, the tax rate on all Bitcoin trading profits was 45%. However, a review of the laws led to changes in 2018. The new tax rate following the change was 19%. To make a EUR to BTC transaction today, check out our list of recommended fiat Bitcoin exchanges.